Morning Star Farm announces their “Therapeutic Horseback Riding Program” is now available to the families of our community. Equine Assist Programs produce favorable results in Riders of all ages and is most effective in the nature of physical, mental and social development. The partnership formed between the horse or pony and rider is very beneficial. 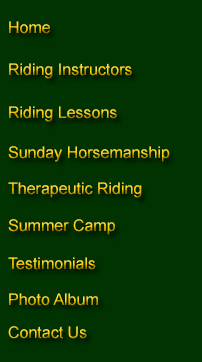 This Program is fun, safe and healthy, with a focus on the abilities as well as special needs of the rider. 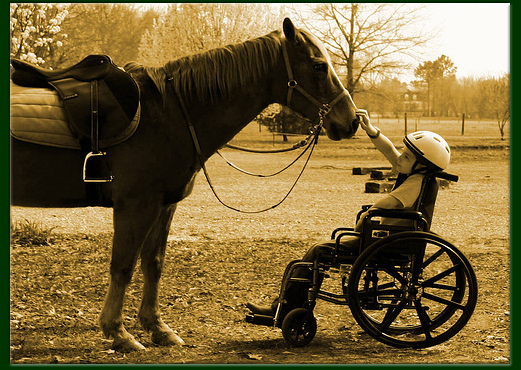 Morning Star Farm provides equine assisted activities to children and adults with physical, mental, developmental and emotional disabilities. A volunteer at Morning Star Farm may perform many tasks depending on the need of the specific participant. 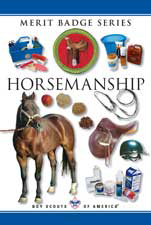 These tasks may include: leading the horse during the session, side aiding during the session, grooming horses, assisting with the set-up and clean-up of arena, helping the participants with their helmets and/or greeting participants in the parking area, assisting (if needed) to the arena, and cleaning tack (bridles, saddles, and adaptive equipment) and more! Experience with horses is very helpful, but is not required. We do require all potential volunteers to attend an orientation and training sessions before working with the program. These orientation and training sessions are held monthly. The Instructors here at Morning Star Farm will lead you through the qualification process to earn your Girl Scout or BSA Horsemanship Badge. The course is Approximately 3 hours of which 1 of those hours will be a mounted riding lesson. Horses will be provided. Course is “Totally Hans-on”. The planned curriculum includes all aspects of the Badge Requirements.